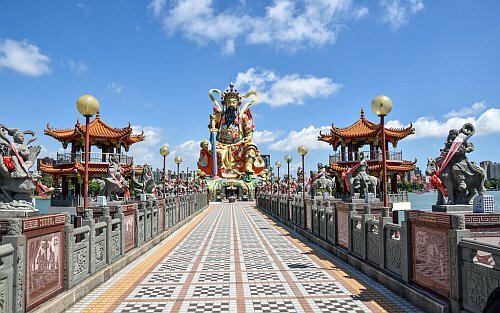 Air Canada is showing flights from Toronto's Billy Bishop airport (YTZ) to Kaohsiung, Taiwan for $644 CAD roundtrip including taxes. The flights have 2 stops each way, in Montreal, and Shanghai or Tokyo. NOTE: These flights depart from Toronto's Billy Bishop airport (YTZ), not YYZ, so be sure to use the correct origin airport when searching. toronto, flight deals, asia, east asia, taiwan, ytz, kaohsiung and khh. 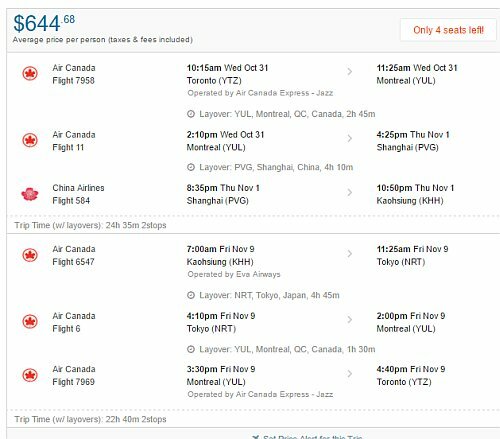 One Response to "Toronto to Kaohsiung, Taiwan - $644 CAD roundtrip including taxes"